This is the time of year when people are feverishly trying to squeeze in rounds of disc golf before the worst season of all has arrived. Winter? Nope. The “Off-Season.” Some people play winter disc golf in the snow, especially after Christmas has come and gone and you’ve got a pile of new plastic. There’s still a period of a few weeks that gets to us all where you just can’t get any rounds in whatsoever. The sun will start to set around 4:30pm making it literally impossible to play after work. This leaves us with only the weekends to play, and we all know how weekends can fill up in a hurry- between football and everything else (kids? family? skiing? eating?). I’ve definitely got the blues. I’m almost next on the Grip EQ waiting list, and I’m pretty sure I won’t even get to use the new bag this season (though I’ll probably wear it around the house for a week!). So what are we to do? The first and most important thing in my opinion is just to forget about disc golf for a bit. For some, this is not possible- but it is important to separate yourself from the whole game/scene for a bit and re-evaluate things. It really will help you come back and approach a new year with a fresh start. You can forget all the big putts you missed, all the trees you hit, and just concentrate on drinking beer… or playing guitar… or even spending time with your family! When it comes to practice, people ALWAYS preach that you need to get out in a field and throw a variety of shots with no baskets around. This may be true, but if I have a spare afternoon, the odds are that I’m headed to my local park and I’m playing 19 holes. I also hate practicing drives in a field with no tee-pads. In any case, even if you can’t get to a field, you still have the chance to practice and not feel like you’re missing out on 19 holes of fun. The famous Feldberg “towel whip” is helpful. While I don’t think it will add an instant result for most people, it keeps your muscle memory in check and hones your “snap” in to that perfect sweet spot. If you’re not getting the towel to snap, you’ve got issues… but luckily you’ve got all off-season to work on it. Maybe you have a basement with 30 foot section? Putting practice always helps. Different stances, straddle putts, uneven footing- standing on blocks of wood- all those things can help your short game. In essence you can make the most of a boring thing. 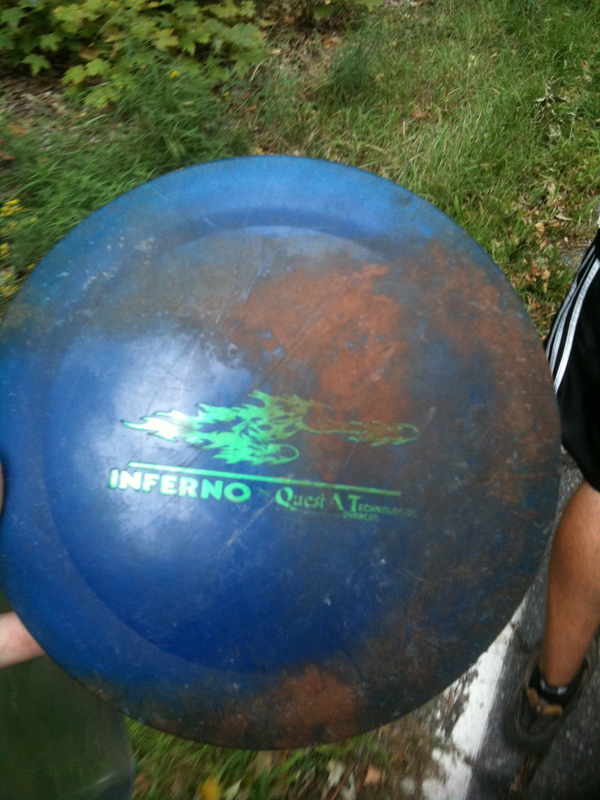 This entry was posted in Stories and Miscellaneous and tagged blues, disc, golf, off, season. Bookmark the permalink.